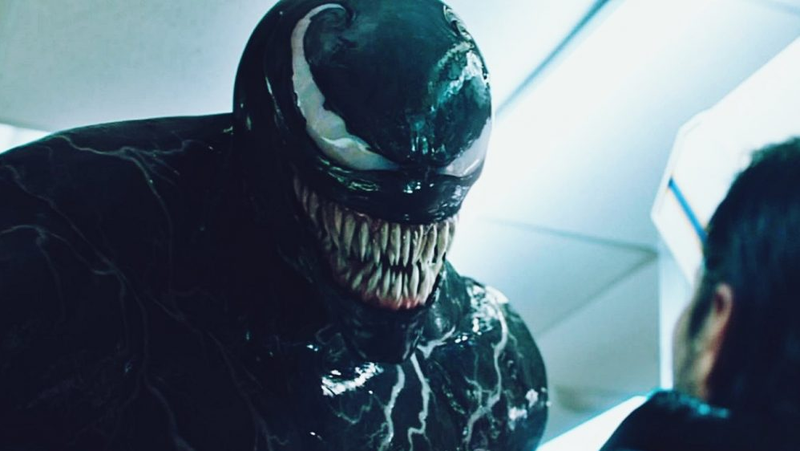 It shouldn’t come as any surprise that Venom is in part a Todd McFarlane creation. His creative hallmarks, emphasizing the Gothic, the monstrous, and the uncanny, are all over his design. 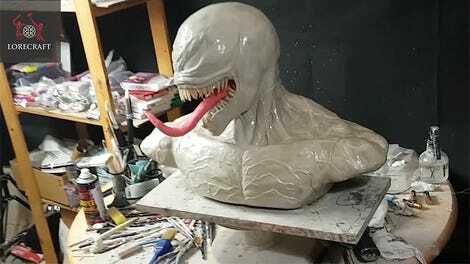 It’s also not a surprise that McFarlane has some opinions on the way his design was modified for the upcoming film, which casts Tom Hardy as the monstrous anti-hero (anti-villain? Hm). His changes aren’t that intense, interestingly, and overall he seems happy with the design. They’re most detail-oriented changes, focused on the face. He creates more space between the eyes, adds some comic-y coloration, and gives his mouth a more monstrous shape. While the changes aren’t huge, they offer a compelling insight into what McFarlane thinks matters about the character’s look.